Winter is coming. The harsh days of the cold months in the Castleton, Fishers and Noblesville area can be very hard on our cars. Cold temperatures can effect just about every automotive system and degrade it’s performance. Not to mention how the the dirt and road salt can cause problems too. However, there are some simple things that can be done to keep your family safe and car performing to reduce the chances of you breaking down. Good visibility is very important. If your wipers are leaving streaks or the blades have cracks or are torn, replace them with a new pair. Don’t forget about the rear wiper if your car is equipped with one. Keep your washer solvent filled and be sure to use a good freeze protection level. How’s your heat working? Poor heat can be caused by a few things but usually its just a thermostat. This is one thing that you don’t want to be without on those cold days. It can be dangerous for you and your family. 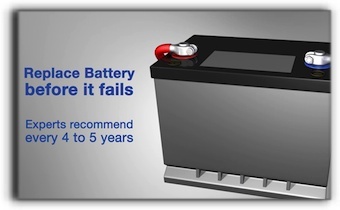 Your battery is another item that can be adversely effected by cold weather. If your battery is more than two years old it really needs to be tested. Most batteries last longer but better safe than sorry. Most antifreeze, despite what manufacturers say, should be replaced about every two years or so. Keeping the fluid fresh keeps corrosion at bay and keeps moving items lubricated like your water pump. You will definitely want to check the freeze protection level. All your preventive maintenance needs to be caught up. Worn spark plugs will foul out much easier in colder months. Old belts and hoses don’t like the cold weather either. They are more prone to fail in low temperatures. Keep a roadside kit in your car. A minimum the kit should contain is a gallon of antifreeze, jumper cables, duct tape, flashlight with fresh batteries, and road flares or reflectors. Always plan for the worse and hope the best. Professional Automotive is happy to provide you with a comprehensive per-winter inspection to make sure your car is ready. No one has a crystal ball to be able to foresee all problems that might happen but a good inspection sure puts a good foot forward in keeping you safe and ready. Be sure to give Brandon a call 317-596-0898 or Curtis a call at our new Noblesville location 317-774-5198. Happy motoring. Is My Car Worth Fixing? Hey Indianapolis. Castleton, and Fishers drivers, Today’s topic is Fuel. Fuel can leaves deposits as it circulates through your fuel system. It can cause big problems. Gum and varnish build up inside your car’s fuel lines, throttle body and the injectors. It’s like plaque that can build-up in our arteries – basically it can restrict the free flow of fuel and can even clog your engines fuel injectors. Not only will the raw fuel leave it’s mark but carbon from combustion can accumulate on your valves, inside the combustion chamber, and on your pistons. Over time this will prevent proper mixing of fuel and air and can prevent your valves from sealing properly. This will definitely mean less power, rough running engines and a lot of wasted fuel – and will likely lead to expensive repairs over time. Now you know the problem, well hears the cure. A fuel injector cleaning at Professional Automotive clears out all the junk from you fuel system and restores your injectors to their normal working performance. This will restore power and improve fuel economy. Keeping your engine starting and running like new again. If your engine seems sluggish and less responsive than it used to be, it might mean that you need a fuel system cleaning. We recommend having it done every 30,000 miles or so as preventive maintenance. Ask your friendly Professional Automotive service adviser if a fuel system cleaning is right for you. Give us a call Professional Automotive 317.596.0898 7013 E 86th St Indianapolis, IN 46250 At Professional Automotive in Indianapolis IN (46250) we install quality NAPA replacement parts. Give us a call at 317.596.0898. To learn more about NAPA AutoCare, visit www.NAPAAutoCare.com. I’m sure most of you know that Air and Fuel are mixed together to be burned in your engine. The amount of which is determined by how hard you press on the accelerator, by going up or down a hill, or by the load you are carrying as you drive around the Indianapolis, Castleton or Fishers area. Based on how much air you request, your engine computer will control the amount of needed fuel to your engine. But what if the computer gets the wrong details about how much air is coming into your engine? When this happens the engine computer will send the wrong amount of fuel to the injectors and there goes the fuel economy and performance. The Mass Air Flow (MAF) Sensor is a critical sensor that is used to measure the volume, temperature, and density of the air coming into your engine. It’s usually mounted in the air intake system before the throttle body but after the air filter. The computer will calculate how much oxygen is available to burn and adjusts the amount of fuel it will send to the injectors. If you have a a dirty or damaged MAF sensor, the engines computer will get inaccurate information to calculate fuel demand, which can lead to a poor running engine, damage to your catalytic converter, set off the Check Engine Light, and may even prevent the engine from running. When air first enters, it first passes through the engine air filter. All the nasty stuff in the air gets trapped in the air filter. At least until you let the air filter go too long and it gets too clogged. At this point some of the contaminants will pass through the filter and hit the MAF sensor. That is how the sensor gets so dirty that it cannot accurately measure the amount of air coming into the engine. So the next time your service adviser brings out a dirty air filter to show you and asks if you’d like to replace it, it’s for your own money saving benefit. If your MAF does become contaminated, most of the time it can be cleaned. The best way to do this is to perform a Fuel Tune. This service also cleans your throttle body and other fuel system components. 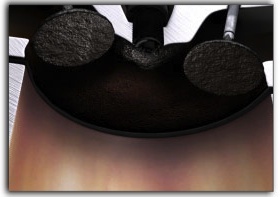 In the circumstances where the MAF sensor has been damaged, it will need to be replaced. It takes about 12,000 gallons of air for every gallon of fuel that you use. That’s a lot of air to have your air filter clean. As you can see replacing this inexpensive part is a good investment. It will prevent dirt from getting into your engine, it will help keep your MAF sensor working the way it should. A good quality engine air filter is your engine’s first line of defense. When your friendly Professional Automotive Service Adviser recommends you replace your engine air filter, consider how much money you will save in engine performance. At Professional Automotive in Indianapolis IN (46250) we install quality NAPA replacement parts. Give us a call at 317.596.0898 . To learn more about NAPA AutoCare, visit www.NAPAAutoCare.com.